Aspiring RNs must complete a hospital diploma, associate’s degree in nursing (ADN), or bachelor of science in nursing (BSN) program. Some RNs also hold a master of science in nursing (MSN), which can increase job prospects. In addition to a degree or diploma, a license is required in order to use the title “RN.” This means that graduates must pass the National Council Licensure Examination for Registered Nurses (NCLEX-RN). LVNs must complete an accredited educational program that leads to a diploma, certificate, or associate’s degree. These training programs are commonly found in technical schools, community colleges, and hospitals. For example, Texas State Technical College and Valley Baptist Medical Center both offer state-approved LVN programs in Harlingen. After completing an accredited program, prospective LVNs must take the National Council Licensure Examination for Practical Nurses (NCLEX-PN) to gain licensure. CNAs must complete a brief training program with classroom lectures and hands-on experience. They must then pass knowledge and skills tests, and obtain certification, through the National Nurse Aide Assessment Program (NNAAP). Graduates of nursing programs in Harlingen, Texas, will have the education and skills needed to seek positions at major healthcare employers. The city’s largest hospitals include Harlingen Medical Center, Valley Baptist Medical Center, Solara Hospital Harlingen, and the VA Texas Valley Coastal Bend Health Care System. Local nurses can expect to earn anywhere from $21,000 annually for entry-level roles to $112,000 annually for advanced practice roles. If you want to thrive in the competitive world of nursing, you will need the right education and training. The journey begins with an accredited nursing program. 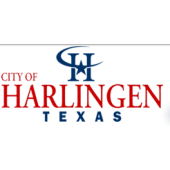 Below is a list of accredited nursing schools in Harlingen, Texas, that offer programs at all degree levels.